So, how's everyone doing? Christmas is in one week, and I hope y'all are finding some merriment amidst the mayhem. I just finished writing page 170 of my manuscript, so high five!! Everyone is super busy, so I'm here with just a quick little post about this mushroom and bacon quiche I made recently for the fine folks over at Mushrooms Canada. If you've never baked a quiche using puff pastry as a base, you're in for a treat, because it makes the whole thing come together so easily. 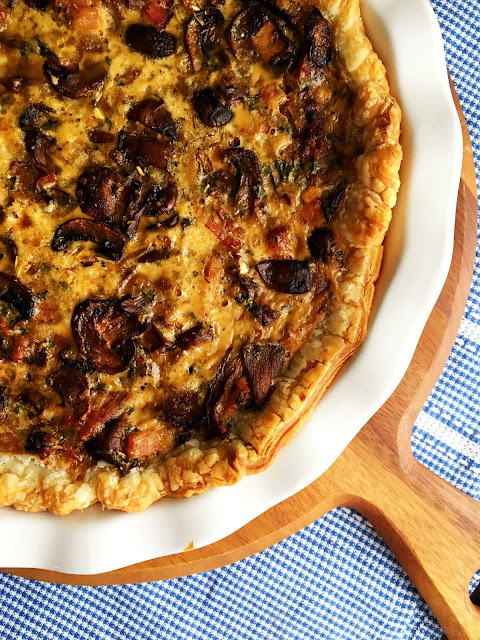 The mushroom filling can be made up to 4 days in advance, so it's a time saver on really busy mornings (or evenings) over the holidays. 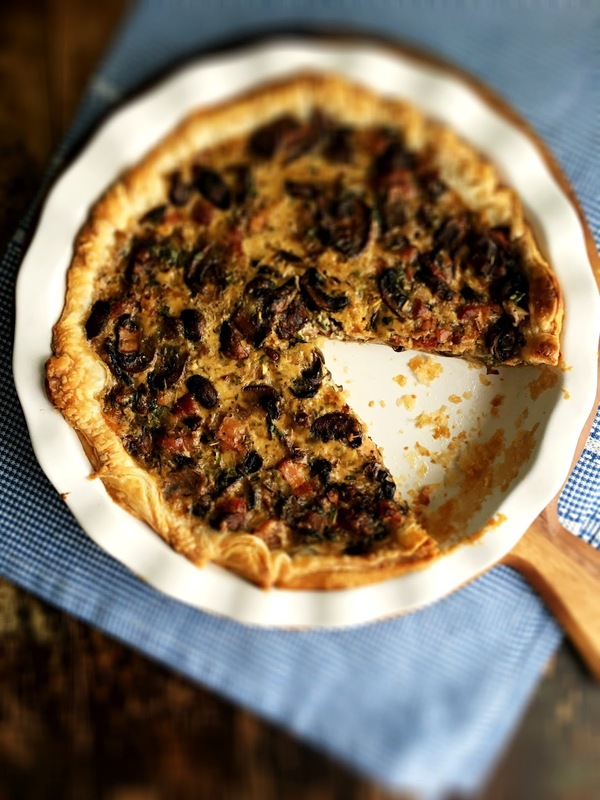 I used dried porcini, as well as fresh cremini and shiitake mushrooms in the quiche, and a good amount of chopped bacon. You all know how much I adore bacon, and it happens to be best friends with mushrooms. So, win! I've reheated slices all week for my lunch, and as expected, it's still delicious. Find the recipe over here on the Mushrooms Canada Blog. And with that, I wish you happy last weekend before Christmas. I'll have one last post before I leave to see my family. You guys. I made a Yule Log and you need to see it! Sweet Holiday Favourites and Glad Tidings!